4 Bedroom Terraced House For Sale in Cirencester for Guide Price £550,000. 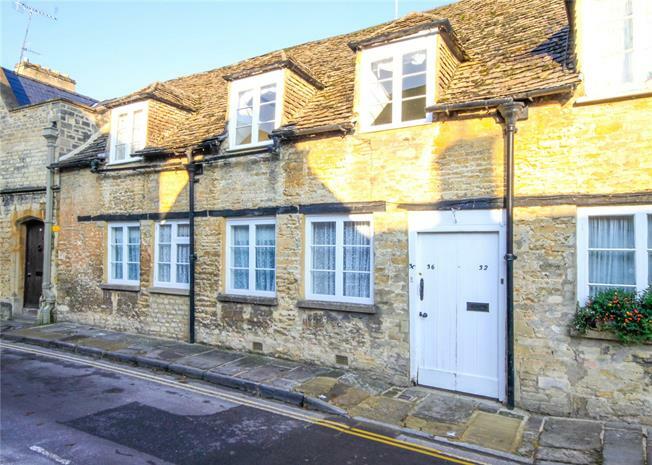 Coxwell Street is one of the oldest, quietest and most attractive streets in Cirencester, lined by period properties, a few hundred yards from the Market Place. It forms a part of the town’s Conservation area and is widely regarded to be one of the most sought-after residential areas in Cirencester. The traditional stone footpaths have been restored and since the introduction of restricted vehicular access and a Residential Parking Scheme, it has become a very quiet street indeed. Cirencester Park is just a short walk away from one end of the street and the Abbey Grounds, another large open space, is close by to the other. Cirencester itself is a thriving Market Town surrounded by some of the loveliest countryside in the Cotswolds. It has a comprehensive range of shops, as well as excellent schooling, health care and professional services. Communications are good with access to the M4 motorway via Swindon or the M5 via Stroud and Cheltenham/Gloucester. There are main line rail services from Kemble about 4 miles (Paddingto9n 1 hour and 20 minutes) and Swindon, about 16 miles (Paddington 58 minutes).